Control your crowds during the break. 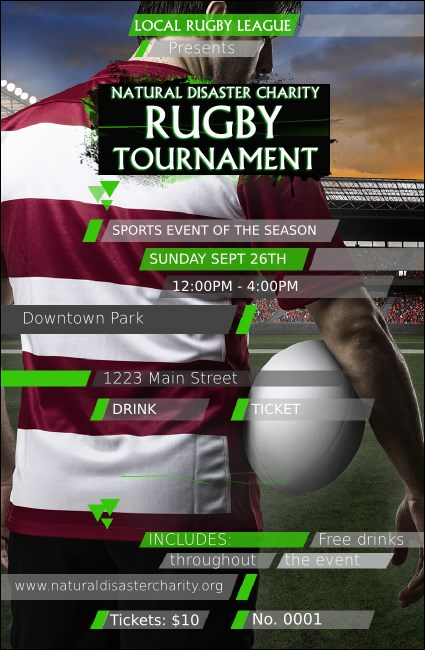 Hand out the Rugby Stadium Drink Ticket at your next match to help service staff. In this intense design, a rugby player with a maroon and white striped jersey stands in front of the pitch, with ominous clouds in the distance. Fill in eighteen lines of event and drink details for your thirsty fans.